Practice top oral health with a visit to the team at Joseph Anderson Dental in Montgomery, TX. 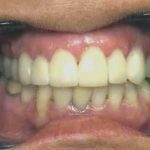 Read more on our local dental case studies and discover our top dentist reviews to learn how we can transform your smile. 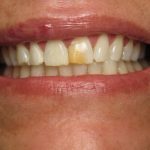 Problem: Patient had periodontal gum disease, spaces between front teeth, irregular height of gum tissues, yellow and stained teeth. 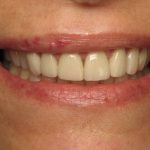 Resolution: Periodontal rehabilitation, gum recontouring, orthodontics, crown lengthening, crowns and veneers. 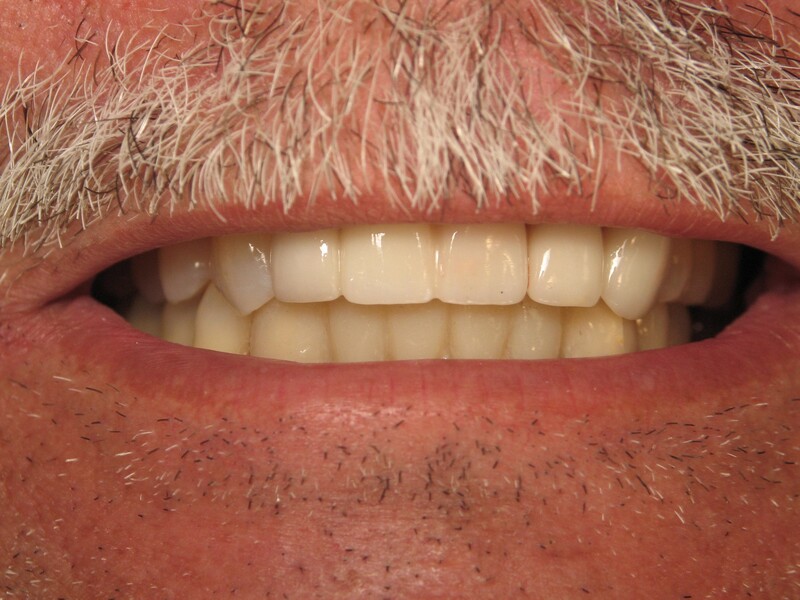 Before any cosmetic dentistry could begin, Dr. Anderson addressed bone and gum disease issues. 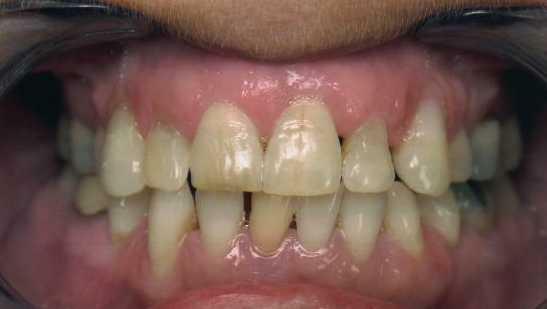 Patient was then treated with orthodontics to correct misalignment. 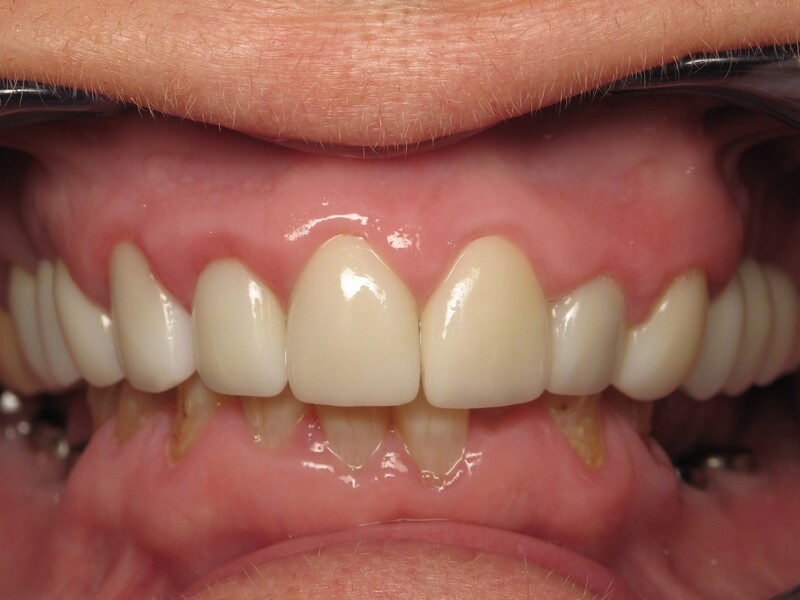 Six months later Dr. Anderson contoured the gums to make the teeth appear proportional. 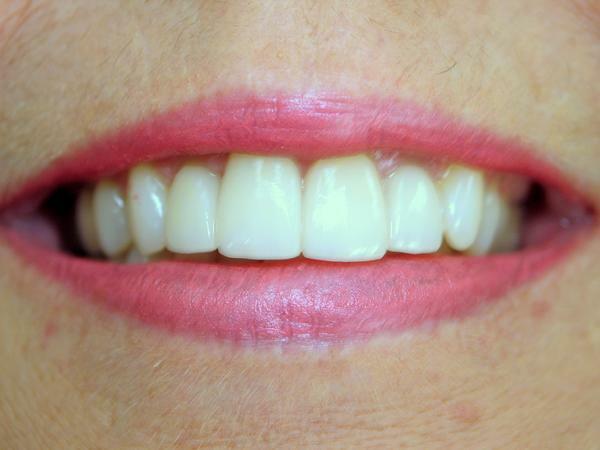 Finally, working with a cosmetic dental laboratory, he placed crowns and veneers. 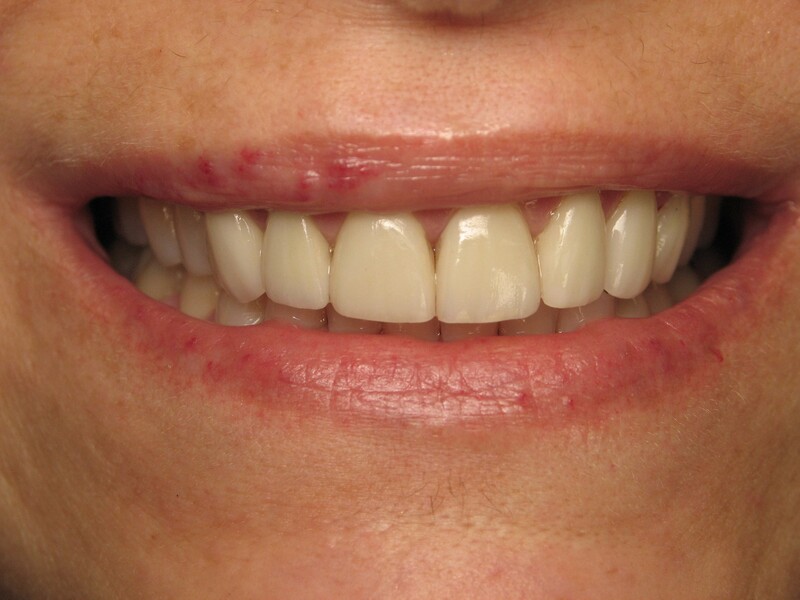 The result: a beautiful smile. 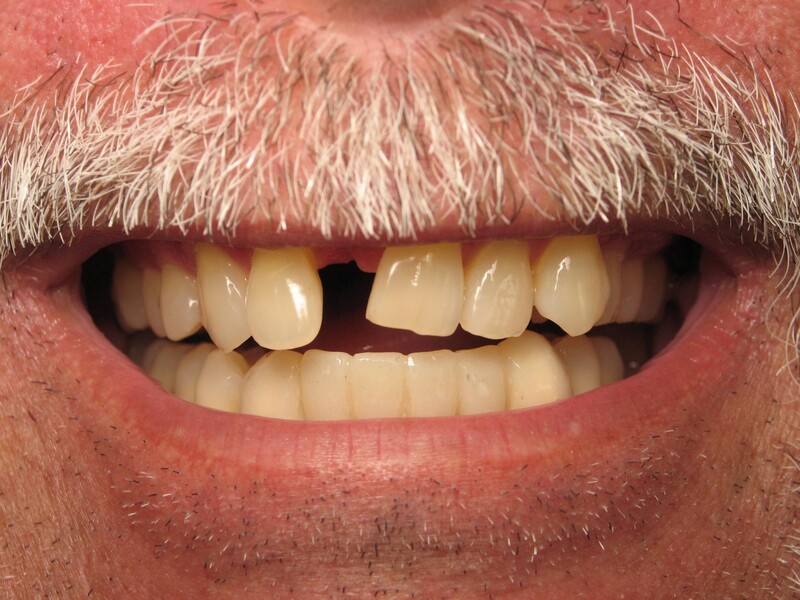 Problem: Patient B had an older fixed bridge replacing a front tooth. 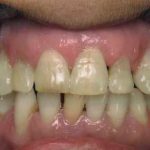 The teeth of the bridge were not in proportion compared to her surrounding natural teeth. 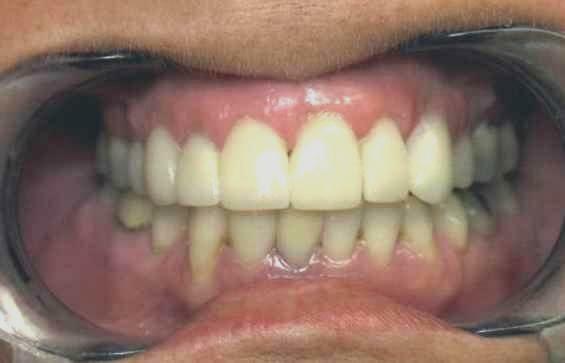 The patient was embarrassed to smile and tried to hide her teeth. Resolution: Dr. Anderson removed the old bridge and prepared teeth for a new fixed bridge. 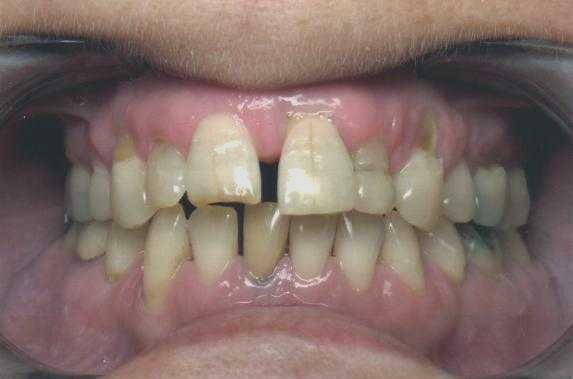 He next prepared teeth adjacent to the bridge for new crowns and veneers. 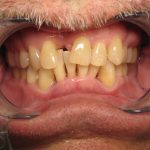 Problem: Patient C came to Dr. Anderson with chipped and broken-down teeth. He requested a "Smile Makeover." 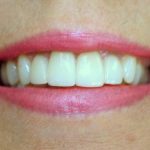 Resolution: Four porcelain veneers and one porcelain crown. 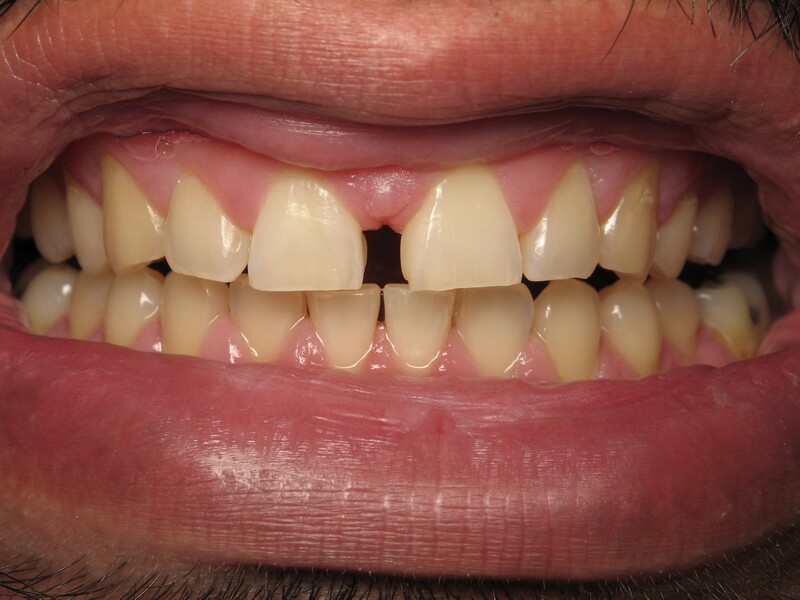 The patient now informs us that he is making a different first impression with his new smile! 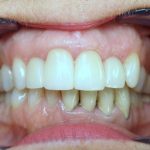 Problem: Patient D liked the light color of her crown, but because of the dullness of the adjacent natural teeth, felt it looked artificial. 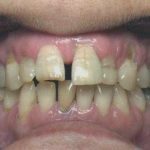 She wanted her other teeth to match the crown. 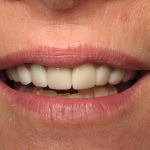 Resolution: Dr. Anderson placed non-invasive porcelain veneers on the surrounding teeth, giving her an aesthetically pleasing and proportionate smile. Problem: Patient E was not happy with her smile. 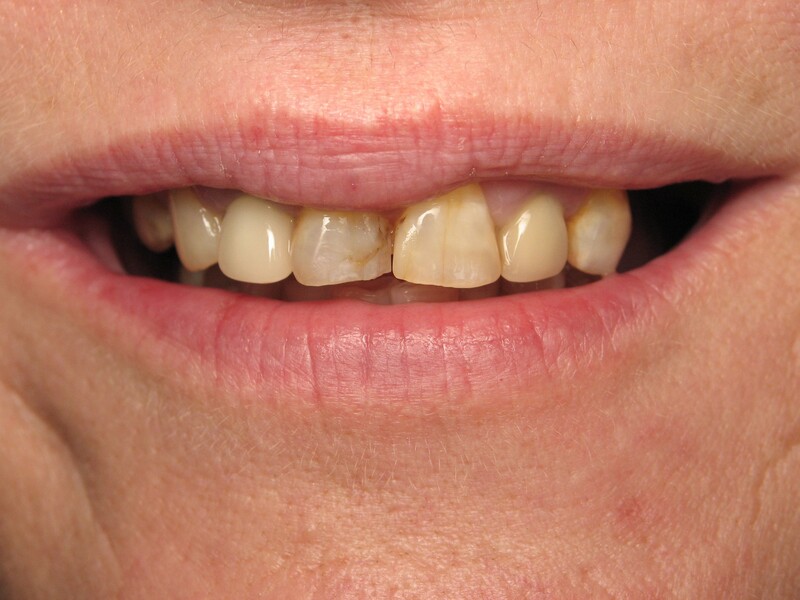 Her front teeth were discolored from multiple tooth colored fillings and some malalignment. 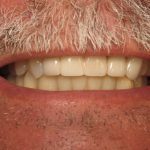 Resolution: Dr. Anderson and his team applied porcelain crowns to change not only the shade but also the alignment, producing the smile this patient wanted. 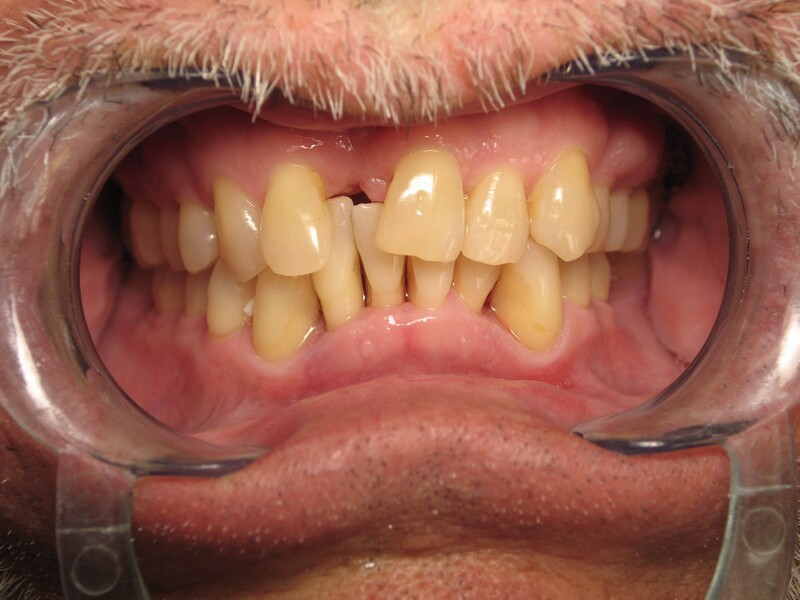 Problem: Patient F wanted a total makeover of his smile. 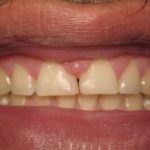 Resolution: Dr. Anderson and his team completed a full mouth reconstruction to restore function and health and to create an aesthetically pleasing smile. 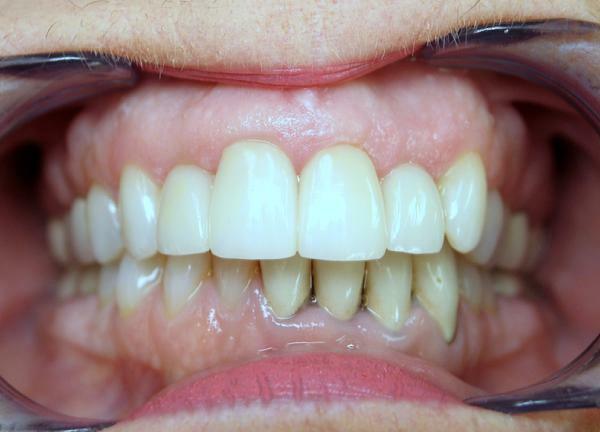 Problem: Patient G wanted a brighter, more evenly colored smile. 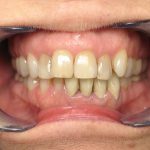 Resolution: Dr. Anderson treated the upper anterior six teeth with a combination of veneers and crowns. 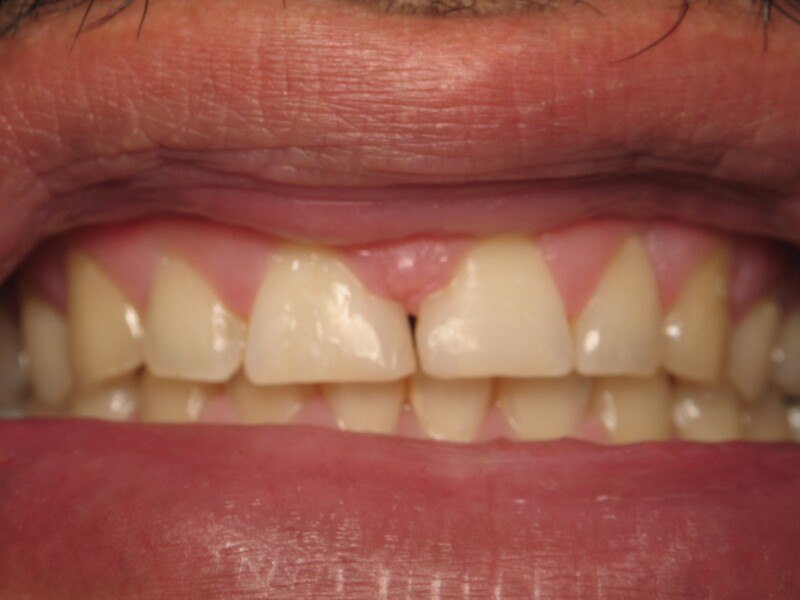 Problem: Patient had chipped and damaged numerous teeth in accident. 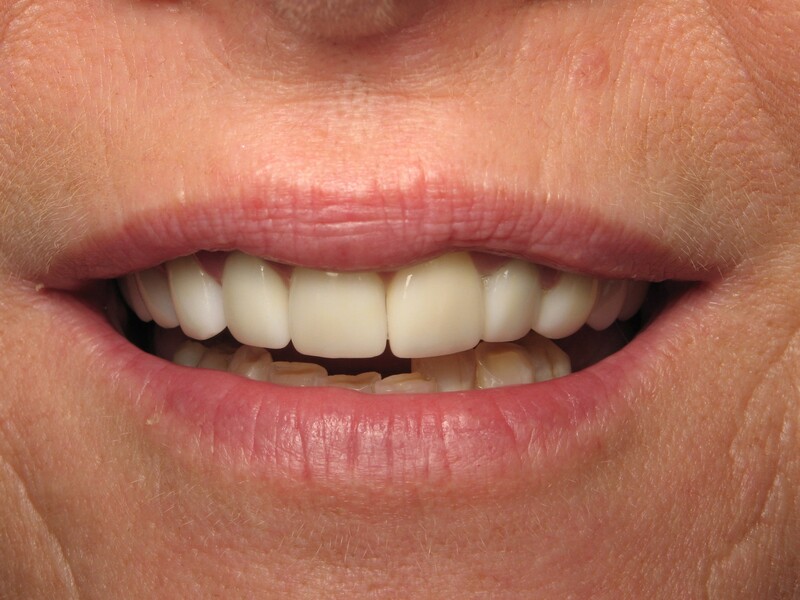 Resolution: Placed porcelain veneers to repair and give the patient a beautiful smile makeover. 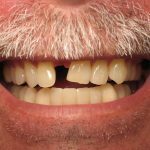 Problem: Patient had tooth knocked out in accident. He was always self-conscious about his smile. 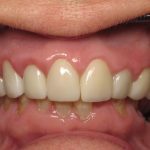 Resolution: Upper and lower porcelain bridges give patient a confident, esthetic smile. 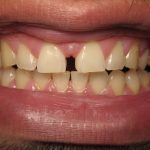 Problem: Patient was always self-conscious of the "gap" in between his front teeth. 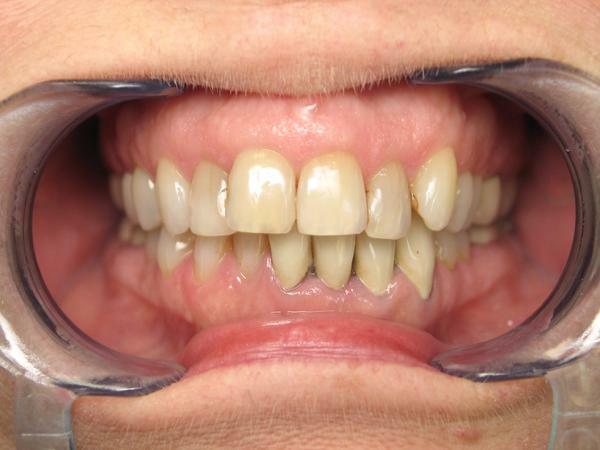 Resolution: Patient is very happy with the instant, one-visit solution of direct bonding. 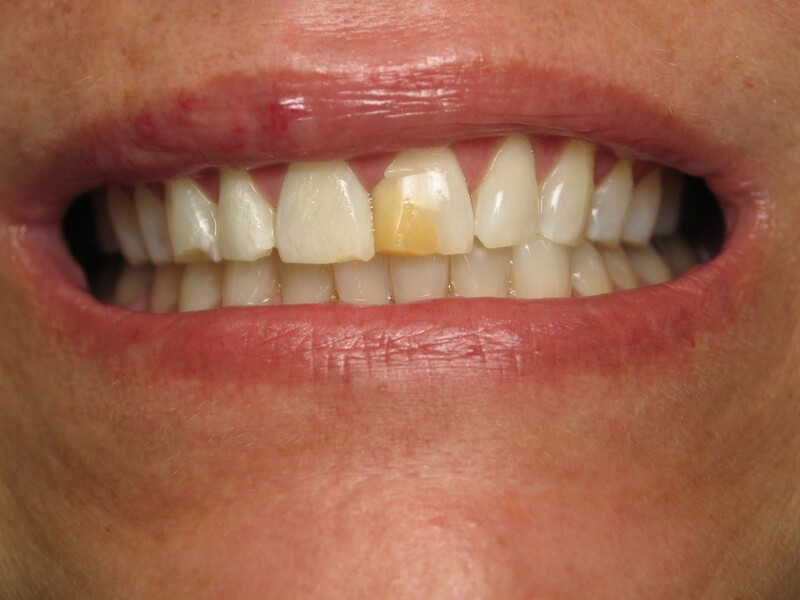 Problem: Patient did not like her chipped and discolored teeth. 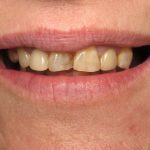 Resolution: A combination of porcelain crowns and veneers give the patient a beautiful smile she's always wanted. Contact us to use our services for your dental care. We work with patients throughout Lake Conroe and surrounding areas, including Montgomery, Conroe, Cleveland, Willis, The Woodlands, Magnolia, Tomball and Houston.